Stitched textile juggling ball with.soft bean filling. 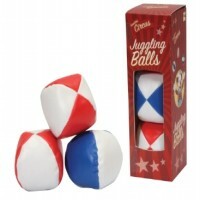 Ideal for circus skills and dexterity exercises. Sold in packs of three. Each ball is 5cm size approx.